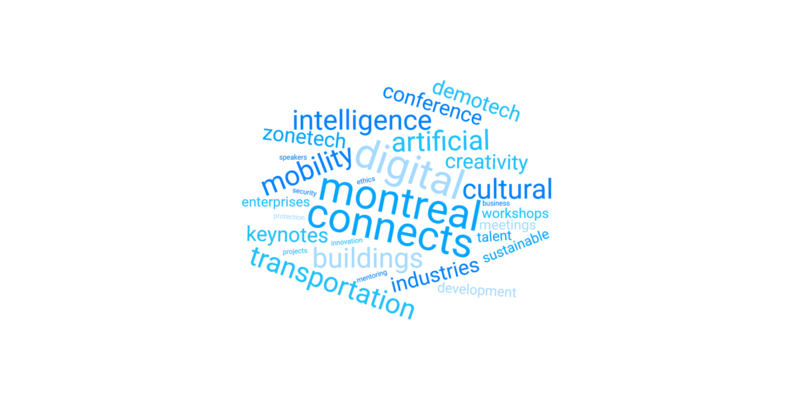 Montreal, February 15, 2019 ― Montreal Digital Spring is launching a call for speakers as part of the first edition of <MTL> connect: Digital Week, a new annual event to be held from May 25th to June 2nd, 2019. This international event aims to look across the board at the main questions related to digital development, focusing on its economic, social, cultural and environmental impacts in various sectors of activity. Each theme will be covered over one day in a specific pavilion. Montreal Digital Week aims to support organizations and various sectors in their digital transformation process and to promote digital innovations at the local, national and international levels. This event will also contribute to facilitate the transfer of expertise between different ecosystems and encourage the cross-fertilization of knowledge. Montreal Digital Spring is calling for speakers to participate in the panels and conferences of <MTL> connect: Digital Week. These activities are aimed to help participants better understand the challenges and issues at stake in the new digital world, and better anticipate the future trends. if available, a video or any document (conference, PPT, article…) presenting one of your past conferences, or any other media that could help evaluate your expertise on the topic and offer an overview of your stage presence. Note: if you are willing to submit an application for different themes, we ask you to submit separate applications. All profiles are welcome. Please note that no purely commercial applications will be accepted. Several topics will be proposed in connection with our 5 pavilions: Health, Artificial Intelligence, Architecture and Building, Creative and Cultural Industries, Transport and Mobility. For those selected, the important information regarding their participation (transportation, schedules, etc.) will be communicated shortly after. All applications will be considered. The selection committee will make its final decision based on the relevance and quality of the proposed topic. The selection committee is composed of the members of the standing committee and 5 other members, experts in the different themes covered in each pavilion. Profiles including a sustainable approach in their research and/or proposing sustainable solutions for the environment. The Montreal Digital Spring team thanks you all for your interest and is looking forward to experiencing this first Montreal Digital Week with you!